I found Moonflower to be a terrible sister in this book… she was also a pretty bad sister in “Bluestar’s Prophecy”….. WAIT WHAT!? NO!! I really liked Moonflower! OOF! Goosefeather was a really unusual character that seemed as if he was suffering from a severe mental breakdown to me when I first read Bluestar’s Prophecy. Some of his prophecies were so uncanny and spot on. When he declared that the vole Snowpaw had caught (her first catch) as an Omen of WindClan’s plans to destroy ThunderClan prompted a battle that ultimately killed Moonflower as result it was evident his mental state was declining. Now after reading this story from his point of view, and the curse he carried within him from his unique abilities to see dead cats explains everything. His story needed to told and it was done well. 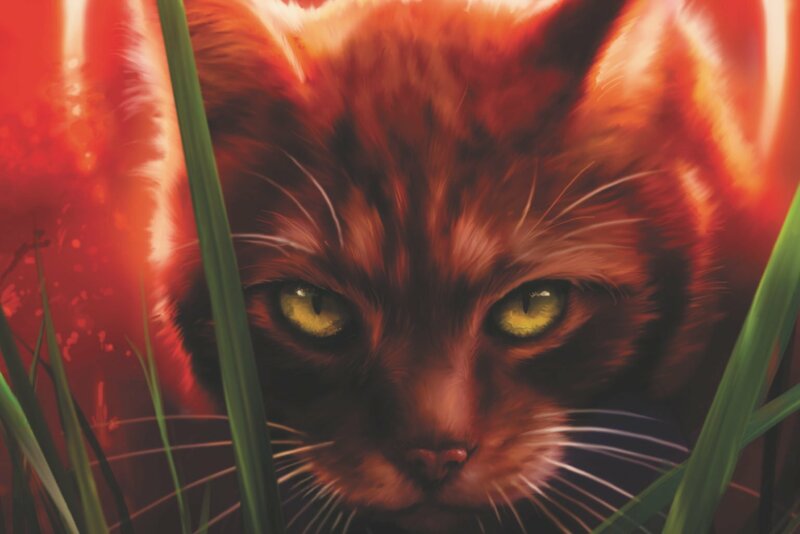 And he did after all foresee Rusty coming along to join ThunderClan and his role later as the fire that could save the clan. I really liked how at the beginning he found the other kits and they’re just like “You cheated!” I honestly found that hilarious!! That was basically why he regarded his gift of hearing prophecies as a curse. Too many prophecies, most of them never to happen/happening in his lifetime. That was part of the point. He saw his power as a curse instead of a gift because he was completely overwhelmed with all of these prophecies. Goosefeather couldn’t tell real cats between StarClan cats. He was bullied and teased, and his sister was terrible to him, always choosing her crush/boyfriend. He became apprentice to Cloudberry at four moons. His sister named him weird. He then began seeing the prophecies and foretelling things about cats when he saw them. That gave him the insane part. Stormtail doesn’t even pay attention to his kits. Um Kate. Goosepaw is accidentally called Goosereather before getting his medicat name. Hey, kate?how is the rest of the erins?and ps can’t spell the name lol and pps do u have cats?what are the names?also lol I use to hate cats till I read ur books then I thought I would die of loving them.u should really think about making a cat who everyone finds out is tigerstars littermate or something!!! Sometimes there are little mistakes like that. I used to not like Goosefeather, but after reading this I actually like him and can feel sorry for him. The Erins did a great job on this book. I really don’t like Moonflower now, though, and all of the other cats who bullied Goosefeather. But unfortunately, there was a change of plans for my novella, Moonflower’s Death, and I had to let Moonflower get out alive so that Bluestar and Snowfur could be born. Note: I did not ever actually think of writing Moonflower’s Death. What kind of disease did Cloudberryand Doestar had, which made them die? It sounds so horrible? It is just listed as “sickness” on the wikia. Before reading this, I never knew who Stormtail was. 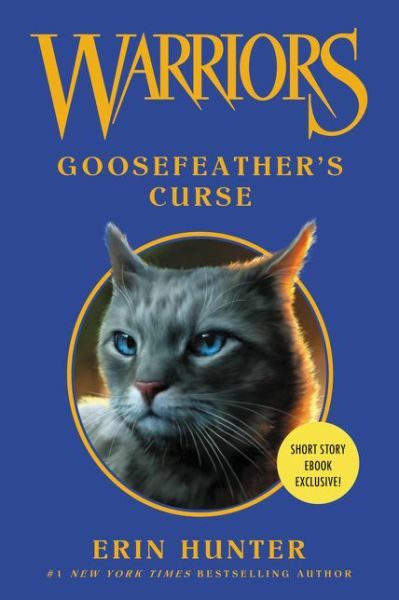 I kept wondering through Goosefeather’s curse, “WHO IS STORMTAIL? I recognize most of these other names, heck, they even mentioned Beetail and Oakstar, but really. WHO THE FRICKITY FRACK IS STORMTAIL!?!?? !” That says a lot about how much he cared for his kits, considering I’VE READ BLUESTAR’S PROPHESY FIVE TIMES. And really. It was maybe two generations after Mapleshade’s death, so why was she already forgotten? I’m sure Shellheart heard stories from Reedshine about her. It’s nice to see Mapleshade doing some relative good for once. Yeah, training Goosefeather in the ways of the DF, blah blah, but she just taught him how to defend himself. Is that so bad? I know this is old but I just wanna point out that they hadn’t forgotten Mapleshade, they just were too ashamed to speak of her.